Yahoo's British subsidiary has been fined £250,000 by the UK's data watchdog after losing the data of more than half a million people. The fine is equivalent to just less than 50p for ever British user who was affected by the attack and follows another fine of $35m (£26m) issued by the US Securities and Exchange Commission. 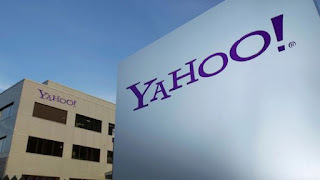 Although the data breach took place in 2014, Yahoo kept the loss of around 500 million international users quiet until 2016. That data breach at Yahoo is just another in a long line of security woes at the company, which was acquired by Altaba in 2017 after a period of rapid decline. Last year while under new ownership the company acknowledged that another data breach in 2013 affected all three billion of its users. The Information Commissioner's Office (ICO) said that 515,121 accounts belonging to British users were compromised in the attack. Because the data breach took place in 2014, the ICO said that it would be using the Data Protection Act 1998 which sets a maximum fine of £500,000, although the new EU-wide GDPR law allows companies to be fined up to 4% of their global turnover. The ICO added that the company failed to take appropriate measures to ensure that users' data was properly secured.